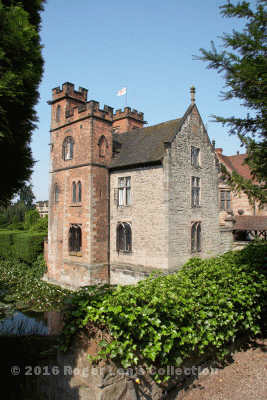 Sutton Coldfield was incorporated as a self-governing town by Royal Charter of King Henry VIII dated December 16 1528. Rather than style the governing body a mayor and corporation, the Charter states that “they shall hereafter be called intitled and named the Warden and Society of the Royal Town of Sutton Coldfylde”. The Charter is reputed to have been issued at the request of a local man, Bishop Vesey, who was a statesman steeped in Renaissance learning, a friend of the renaissance scholar and author of “Utopia”, Thomas More. If Vesey wished to establish a modern institution embodying new ideas, choosing a different title from the traditional “mayor” may have been due to his desire to make a break with the past. However, the people of Sutton may have been accustomed to having a Warden long before the granting of the charter. In the fifteenth century the Lord of the Manor of Sutton received an annual account of income and expenditure from his bailiff there (the manorial lord had been the Earl of Warwick until his death in 1471, when his son-in-law the Duke of Clarence became the new lord. Clarence was accused of treason by his brother King Edward IV in 1477, and his manors reverted to the crown.) In the Sutton bailiff’s account to King Edward for 1479-80 there is a heading “Warden’s expenses”. From the nature of the warden’s expenses claims - for mowing hay meadows, fencing the park, repairing the pools - it seems reasonable to suppose that the warden’s role was to look after the manorial lord’s domestic affairs in his Sutton demesne property. He was probably based at New Hall, which had long since replaced the old manor house as the hunting lodge for Sutton Chase, and where guests who came to hunt in the season would be welcomed, the warden, seeing to their accommodation and the stabling of their horses. This is all highly speculative, based on very little evidence, but if correct, it places a warden, representative of the lord of the manor, residing at New Hall in 1528. Residing at New Hall in 1528 was Bishop Vesey’s brother-in-law, William Gibbons. The Charter names William Gibbons as first warden, taking office immediately on December 16 1528, and charged with arranging for the election of twenty-four men to form with him the Warden and Society. The newly elected corporation assembled in the newly-built Moot Hall on November 2 1529, and elected William Gibbons as their first Warden, to serve for one year; he was succeeded the following year by John Leveson, the husband of Bishop Vesey’s other sister. The task of setting up the new town would have been much easier if Gibbons was, as I suspect, already the respected as the warden under the feudal system at New Hall. Far from making a symbolic break with the past, the use of the title “warden”, on this interpretation, made a smooth transition possible. New Hall, home of Sutton’s first Warden, William Gibbons. This grey stone wing is the only part of the present building which was there in 1528.